The Director answers a few questions for us about the past, present and future of Virtual Toys. 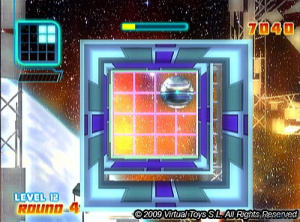 After reviewing their most recent game Spaceball Revolution, it seemed a good time to find out a little more about veteran developer Virtual Toys. Corporate Director Fabriciano Bayo was kind enough to answer a few questions for us and give us some insight into the history of the company and where they're going next. Nintendo Life: Can you give readers who might not be as familiar with your history an overview of how Virtual Toys got started? 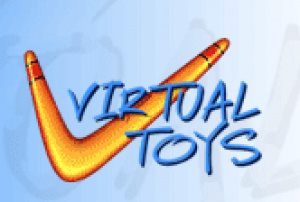 Fabriciano Bayo: We founded Virtual Toys in 1995 and began our particular “via-crucix” to get funds for our first project. Our first commercial release was not a game, but an operating system and its corresponding API that we sold to Recreativos Franco, one of the major players in the Casino Industry. We also produced something like 13 Casino Gambling and pachingo machines for them and they were really successful worldwide. We invested all the money we made in acquiring the license for “Torrente,” a very popular Spanish movie, and we made “Torrente, the game” and “Torrente Online” -- which is still active -- and we will release a new version soon. Later we did Bethesda’s “High Rollers Casino” for XBOX and PS2. 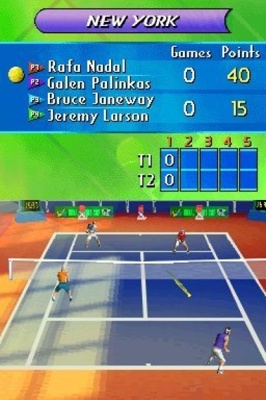 Then we did some minor works until the time we got tennis player Rafa Nadal rights for videogames and produced our first DS title “Rafa Nadal Tennis.” During this period we developed also many mobile games, and even began a mobile publishing operation for Spain (which has provided us a highly valuable experience to apply to online distribution). Ubisoft got interested in us and proposed we do Horsez for DS. By that time we had already designed a “new” game idea: a Fashion Game. After being refused by several publishers, Ubisoft trusted us and gave us the opportunity we needed. Nintendo Life: Currently many of the DS and Wii games you've developed would seem to fit into the "lifestyle" or "casual" category -- how do you visualise the future direction of the company and where do independent titles like Yummy Yummy Cooking Jam and Spaceball Revolution fit into your plans? Fabriciano Bayo: Well, as you may see, we have done games of all genres and nearly for all the existing platforms. Bit Managers, our studio in Barcelona, has released over 50 titles since the 8 bits days. Now we are very focused in the online distribution market, but not in a specific platform or a specific genre. In WiiWare our plans for Spaceball Revolution is to continue supporting this game and the players (thanks very much for downloading!!! ), releasing more chapters in the future. 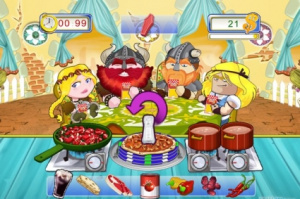 Yummy Yummy Cooking Jam was released before Nintendo had the add-on support available (the pay&play logo that has puzzled many users), and we are thinking of that in the sequel as well. Nintendo Life: Ubisoft has distributed a number of your titles for Wii and DS, how did this relationship develop? Nintendo Life: You've gotten a fair amount of respect at the most recent Gamelab event in Spain, winning the Best Art Award for Yummy Yummy Cooking Jam. How much does art direction influence the development of your games -- does design drive development or the other way around? Fabriciano Bayo: Although this seems an easy question, it is difficult for me to answer. Art is key in any game. Gameplay too. For us there is a deep link between both, and both of them drive the game development in tandem. Nintendo Life: Spaceball seems like it could transition well to DSi -- any plans to support DSiWare? What are the differences between developing for a handheld like the DS versus the Wii? Fabriciano Bayo: Our new coming release on DSiWare is Yummy Yummy Cooking Jam, followed by Spaceball Revolution and VT Tennis 2010. Although DS and Wii are very different systems from all points of view (hardware, display, control...) we have found that our gameplay features fit perfectly with both of them, so we expect the players to equally enjoy our games on both platforms. 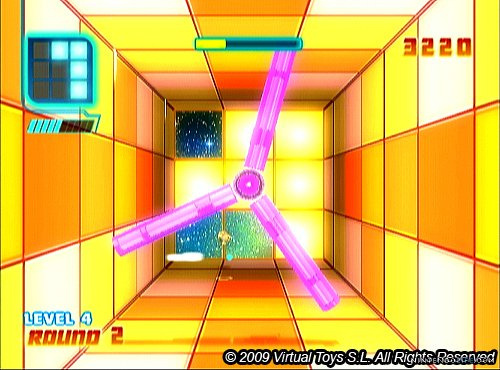 Nintendo Life: Nintendo of Europe recently announced a slate of upcoming WiiWare titles and Hoopworld was listed as the next WiiWare title from Virtual Toys. It seems to have something to do with basketball; there anything you can tell us about it? Fabriciano Bayo: What can I tell you about Hoopworld? It is the best basket game ever done!! Jokes aside, it is a fantastic game, with fantastic graphics and intense and funny gameplay. Nintendo Life: Are you satisfied with the performance of your WiiWare titles and how they've been received in the press? Fabriciano Bayo: Yes, they are performing quite well. Spaceball Revolution has been better received by the press than Yummy Yummy Cooking Jam, and I think this will invite people to trust us and try Yummy Yummy Cooking Jam and find out that it is a great game with great gameplay. Nintendo Life: It's been made clear that a new chapter is being released for Spacball Revolution by the end of the year. Is there anything you can tell fans of the game about it? Will there be new music, different grid layout, new figures or other features? Fabriciano Bayo: You’ve said it. 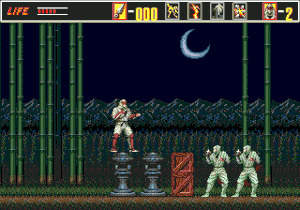 It will have new music, new obstacles with new properties that will add new twists to the gameplay (i.e. magnetic properties) and...well it will continue being revolutionary. Nintendo Life: The music in Spaceball Revolution was quite striking in its 90s rave style -- was the music created in-house? What was behind the choice of sounds? Fabriciano Bayo: Up to a year earlier, we have been composing all our games music in house. Victor, one of our Senior Producers -- who is an even better musician than producer (and he is one of the two best. The other one is Santiago, the producer and designer for Spaceball), used to compose all the music, but during the last year we have had to hire extra musicians to support the number of titles we have been developing simultaneously. Fortunately Victor’s brother is a musician as well and has created a fantastic soundtrack for Spaceball Revolution. Nintendo Life: How is Nintendo to work with as a 3rd party? What kind of assistance do they provide and how accessible are they? Fabriciano Bayo: Nintendo is a fantastic partner to work with. They understand perfectly how we -- I mean developers -- think and work. They are quite accessible and provide great support to developers, but leave us freedom to create. One of the things we really appreciate is that, apart from supporting us, they are always open to hear our suggestions. Nintendo Life: What are the differences (if any) between developing DS, WiiWare and Wii disc releases? Fabriciano Bayo: The Nintendo DS and Wii are two different consoles. Anybody could say that. 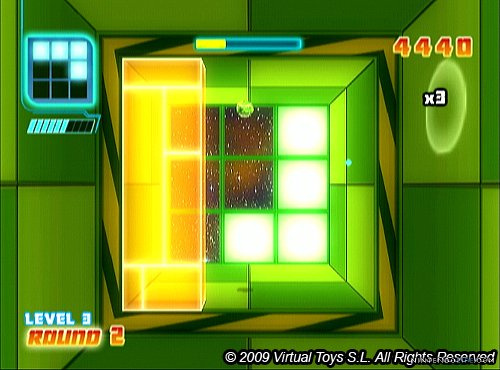 However, as WiiWare releases and Wii disc releases run in the same console, it is not so obvious that due to the WiiWare game size limitation of 40MB, they also require a different development approach -- both from the technical and the game design point of view. Nintendo Life: Do you play other WiiWare titles -- what are your favourites at the moment? Fabriciano Bayo: This is another difficult question for me... because I play more Virtual Console games than WiiWare. The Revenge of Shinobi, Metal Slug and Mega Man are among my favourites. Nintendo Life: You mentioned creating a game based upon a Spanish film -- are you interested in making more games based upon Spanish culture and history (for some reason Don Quixote immediately leaps to mind or the history of the Muslim conquest of the Iberian Peninsula) with an eye to exporting them? Fabriciano Bayo: We are currently updating “Torrente Online” (TOL), that was released in 2003 for free and is still playing and available in the web for free download (both the game and the server application). But I wouldn’t say that this game shows the Spanish culture. It is a multiplayer shooter with slow-paced gameplay and a sense of humour that were unique when we launched it (if you have the chance of playing it, you will find it very similar to recent PC multiplayer shooter releases) and with lots of players that are requesting an update from us. Nintendo Life: Following on from that, as a European game developer do you think European game companies could do more to leverage the history and mythology of Europe to create compelling new games much as Japanese developers have done with their national history and mythologies? Fabriciano Bayo: Of course I think that we could do more to leverage our history, as it is very rich and varied and a vast source of inspiration. But if you ask me why aren’t we doing it? I think that, speaking in general terms, the more familiar the audience is with a topic, the better the game sales. Japan is a big market with one culture, one history and one mythology in a single country. We could discuss long about whether or not Europe has a “common culture or identity." WWII or Roman Empire are European-wide topics, but I don’t think even Nordic or Greek are so close to all the Europeans as Japanese mythology is to the Japanese. Nintendo Life: How large is the Spanish development community presently and how tightly knit is it -- do you know the guys at Over the Top Games and hang out? Fabriciano Bayo: Spain is full of talented groups of developers, but only a few have been able to create games with a successful international impact. This has not been because of the lack of talent but, from my point of view, this has been because of the lack of worldwide Spanish publishers who would have been our natural customers. Now things are changing. 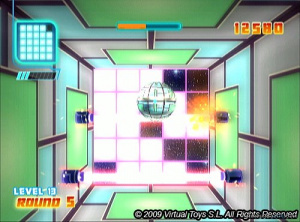 The online distribution channels like WiiWare are providing developers with direct access to the player. Now Spanish independent developers are competing in the same conditions as any other developer (Government assistance politics aside) and we will see more Spanish developers succeeding like Over the Top Games (Saludos Juan Ramón y compañía!!!). They are great developers and better pals. Thanks again to Fabriciano for answering our questions! I love the idea of infusing culture into games. It gives each developing region their own personal feel. Also, I love the music in Spaceball. That's killer they did that in house. I can't wait to hear what they come up with for the sequals. Great interview and a pleasent read. 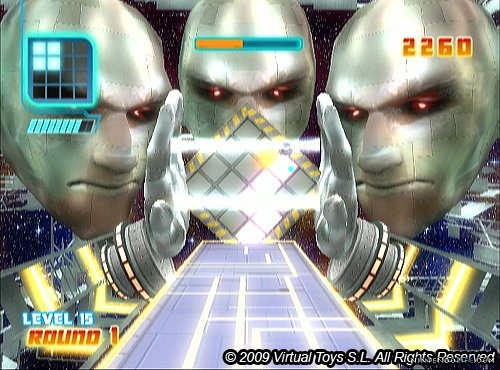 Looking forward to seeing how their quality improves as more Wiiware/DSiware games are released. Oh great.. a sequel to yummy yummy cooking jam.. not. Since when do people like that game? Isn't it based off cooking momma or something? There isnt many Mexican Nintendo developers which is a shame. Its just one of those countries where Game Design isnt too hot. Bayo practically admitted Yummy Yummy didn't do too well. That means they put more effort in future titles (hopefully). A really nice read, indeed. Thanks for the great interview guys. Nice look behind the scenes. Also like the history idea, except from greak and roman mythologies, there are interesting other ones, not so well known. There's plenty I can think of. I definitely think other mythologies should be used as the basis for games. I don't have to be Japanese to enjoy Tenchu 4, so why should it matter whether or not we all share a culture to enjoy games set in a given milieu? I sincerely hope Virtual Toys will one day treat us all to a game based on the works of Cervantes! Fabriciano seems cool. I haven't tried these games yet. Thanks for posting the interview NL.